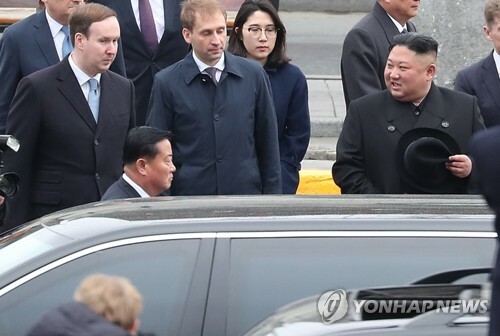 SEOUL -- North Korean leader Kim Jong-un and Russian President Vladimir Putin have exchanged messages to celebrate the 70th anniversary of the establishment of bilateral diplomatic ties, Pyongyang's state media reported Friday. 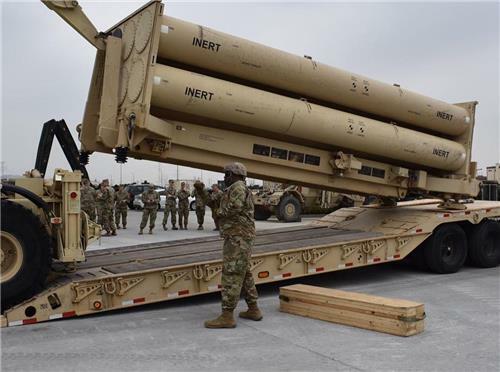 SEOUL -- South Korea's Joint Chiefs of Staff (JCS) said Friday that it will "flexibly" handle the issue of the deployment of U.S strategic arms to Korea and its plan to establish a key defense system in line with progress in North Korea's denuclearization. The remarks during a parliamentary audit spawned speculation that it could desist from requesting a U.S. show of force with formidable assets, such as nuclear-capable bombers and aircraft carriers, and scale back its envisioned "three-axis" system. SEOUL -- South Korean stocks traded 1.07 percent higher on Friday, recovering from a more than 4 percent plunge the previous day. 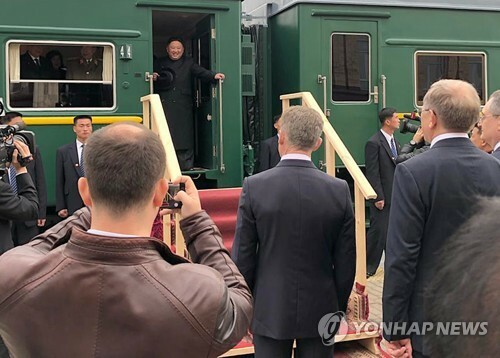 SEOUL -- President Moon Jae-in on Friday called for stepped up efforts to establish a conflict-free joint fishing area with North Korea along the western maritime border, known as the Northern Limit Line (NLL). 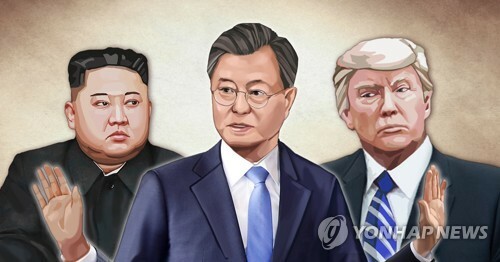 "The western NLL is a maritime border that our troops have been guarding with their blood," the president said in a ceremony held at his office Cheong Wa Dae to appoint the new chairman of the Joint Chiefs of Staff (JCS), Gen. Park Han-ki. 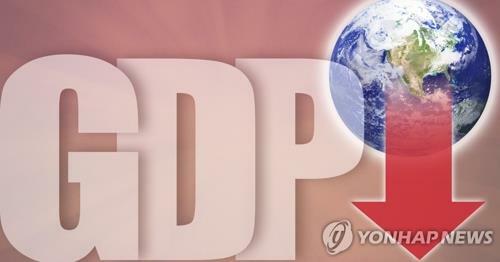 SEOUL -- The ruling Democratic Party (DP) said Friday that the job market appeared to have avoided the worst after the government announced better than expected employment data last month. South Korea's jobless rate rose in September, but the number of new jobs improved after staying below 10,000 for two consecutive months, according to government data. SEONGNAM, South Korea -- Police raided the home of Gyeonggi Province Gov. Lee Jae-myung on Friday in a probe into suspicions that he used his authority to forcefully institutionalize his estranged brother at a mental hospital and lied about the allegations during election campaign. SEOUL -- A zoo displayed four Siberian tiger siblings, born in May this year, to the public on Friday as part of efforts to preserve the endangered species. 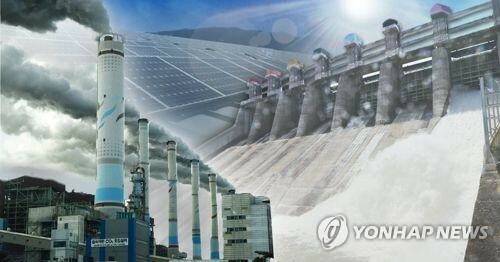 SEJONG -- South Korea's jobless rate rose slightly in September due to a fall in employment in the retail and restaurant sectors, with poorer-than-expected job creation continuing, government data showed Friday. 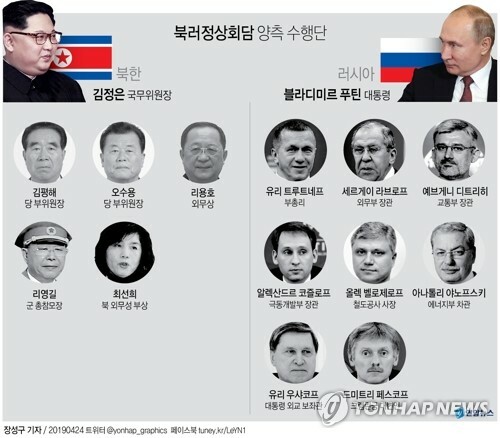 SEOUL -- The heads of six major North Korean universities will visit Canada next week at the invitation of the University of British Columbia (UBC), American broadcaster Radio Free Asia (RFA) reported on Friday. The Canada-DPRK Knowledge Partnership Program (KPP), affiliated with the UBC, told RFA that a 12-member North Korean delegation, including the heads or deputy heads of Kim Il Sung University and five other universities, will visit the Canadian university in Vancouver from Oct. 16-20 for academic exchanges. 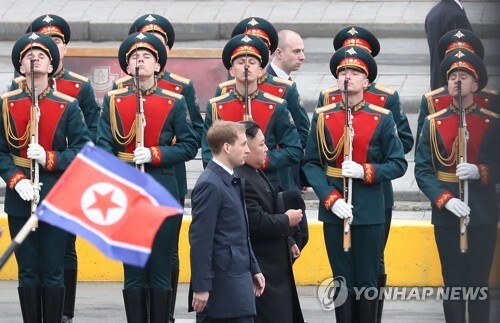 DPRK stands for the Democratic People's Republic of Korea -- North Korea.